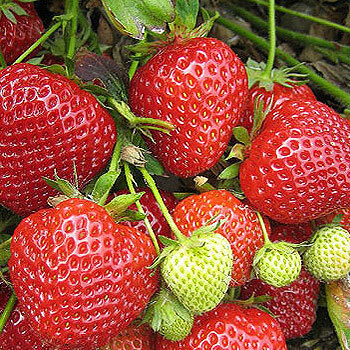 Lucy delivers very large, attractive, firm, mid-red glossy berries, 80% of which exceeds 35mm. The berries hold exceptionally well on the plant and are unaffected by heavy rain. Both its 60-day performance and maincrop yields are markedly superior to those of Elsanta. The plant is vigorous and performs well when subjected to drought stress. Lucy has a useful level of resistance to Crown Rot.